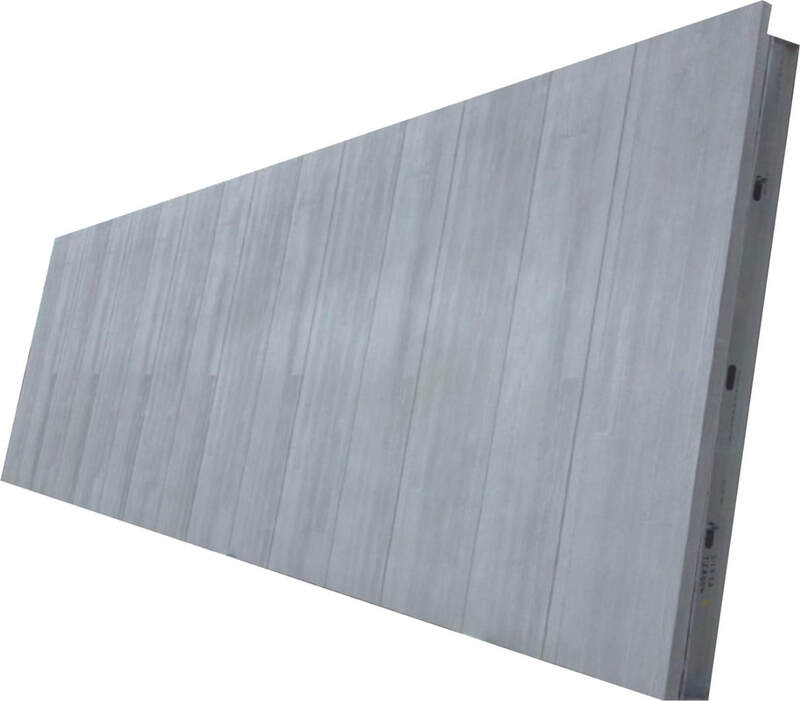 Tellus Wall Panels are the primary component for Tellus Superstructures, but also integrate with pre-engineered wide span steel structures, conventional steel structures, and post-tension structures making them the most versatile concrete composite thinshell wall panel in the industry. 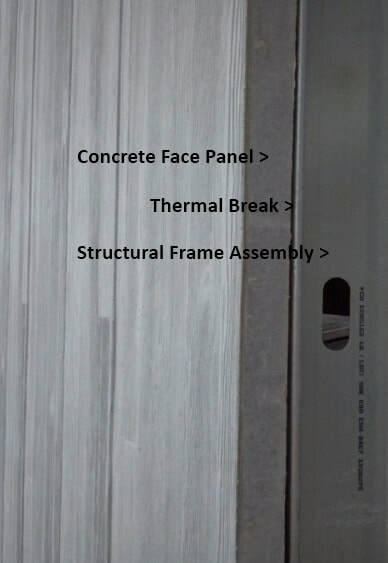 ​Tellus concrete composite wall panels are the only thinshell wall panel in the industry manufactured with 100% fiberglass composite components, eliminating all metallic components within the concrete face panel and eliminating all metallic embed connectors between the concrete panel to the metal frame assembly resulting in 100% ZERO thermal transfer. 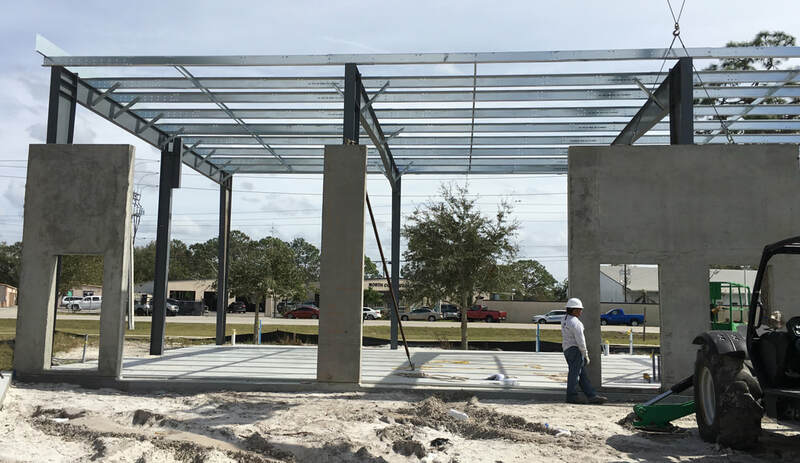 ​Tellus structural and architectural wall panels are designed and cast with monolithic returns, headers, and sills which eliminates water intrusion. 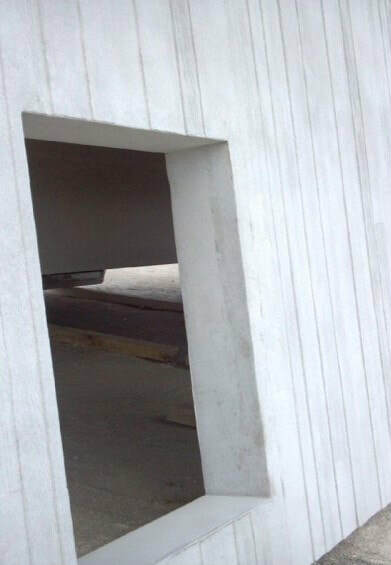 All punched openings are designed as finished openings eliminating the need for wood bucks, precast sills, and precast lintels. 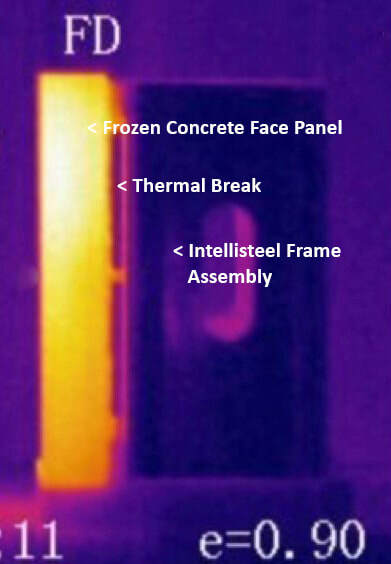 The thermal imaging test shows a frozen Tellus Pantheon concrete face panel, 5/8" thermal break, and Intellisteel frame assembly. The 5/8”” thermal break eliminated the transfer of cold from the frozen Tellus Pantheon Concrete face panel to the frame assembly which allows for reduced HVAC requirements for both heating and cooling. Tellus load-bearing concrete composite exterior walls are the primary component for our Tellus Superstructures which are fully integrated modular building shells forming a complete building superstructure which is manufactured off-site and shipped to the job-site in modular assemblies ready for erection, making them ideal for low-rise and mid-rise building structures. 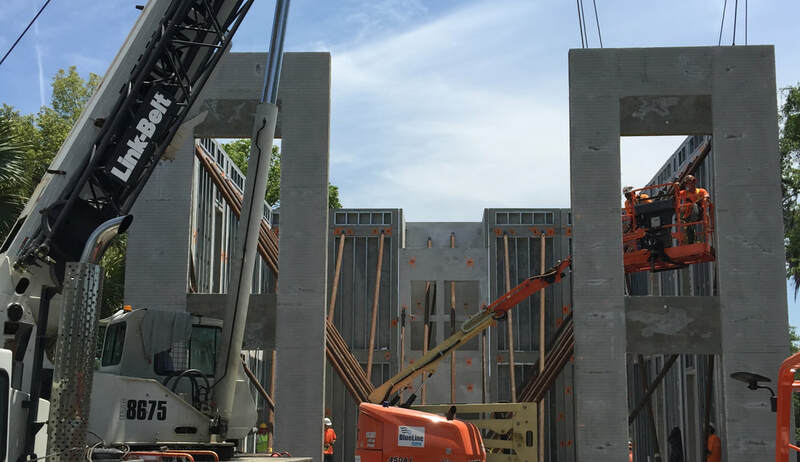 Tellus non load-bearing wall panels fully integrate with pre-engineered wide span and conventional steel structures and act as the buildings shear walls eliminating the need for girts and X bracing in the walls. Tellus non load-bearing spandrel panels can provide clear spans up to fifty-two feet wide making them ideal for storefront applications.